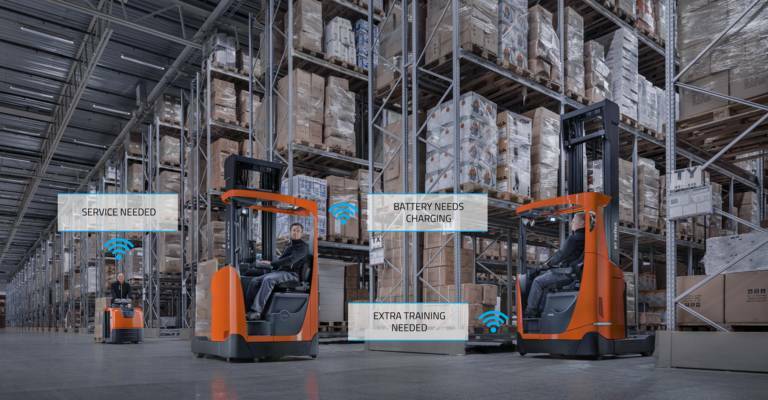 Following the advance news released at CeMAT in April earlier this year, Toyota Material Handling Europe today confirms the inclusion of connectivity as a standard feature across the company’s range of warehouse trucks. 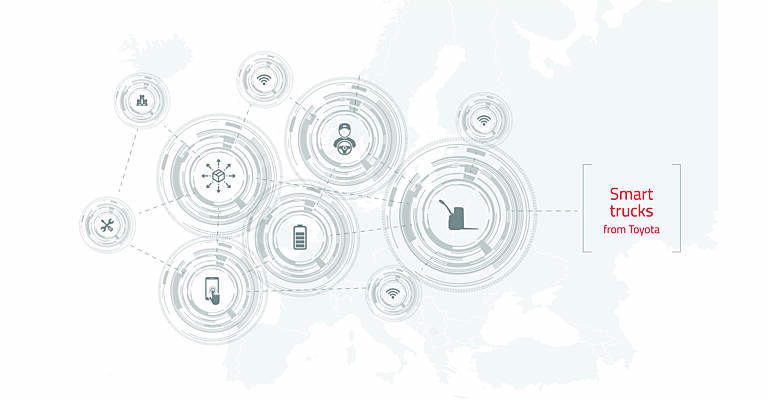 “We made a commitment to provide the technology to support our customers to eliminate waste in their operations by putting them in control, and we are now able to fulfil that promise,” stated Matthias Fischer, President and CEO. The move means that virtually all warehouse trucks produced in Toyota’s Mjölby factory in Sweden will be ‘smart trucks’ - fitted with the necessary technology to transmit activity and diagnostic data, and this will automatically be gathered in a central database allowing Toyota and its customers to work with the information. “For our customers, it means they can accurately measure the work that trucks are doing, have a clear understanding of driver performance as well as managing impacts and efficiencies in key areas such as battery management. The aim is to maximise utilisation and therefore cut out waste associated with idle trucks, as well as taking steps to reduce errors and associated damage,” explained Ralph Cox, Senior Vice President for Marketing and Sales. 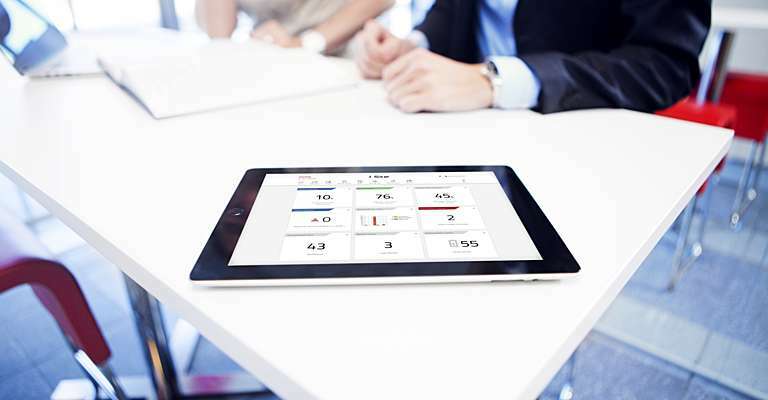 This approach means that customers simply pay a small monthly subscription fee to access structured reports, which are available via the Toyota I_Site portal, and through associated mobile apps. There is no longer a hardware cost. Even those customers that decide not to pay the monthly subscription will be able to access core data such as a fleet list and working hours, at no cost at all. Furthermore Toyota will be able to use the data gathered to prepare for new advances such as predictive servicing, based on actual operating hours and rental programmes tailored to utilisation. "We recognise that with our customers we are now moving into a digital age, where data can make a dramatic difference to the bottom line. At Toyota we have always employed lean-thinking in our operations, and that means aiming for zero waste. Our commitment to smart truck production will help our customers to pursue this goal," continued Ralph Cox. All orders taken from beginning October 2018 will be included in the programme, and first deliveries are scheduled before the end of November. Which features make a truck smart? What is a smart truck from Toyota and what are the features? Read more about connected and smart warehouse trucks. 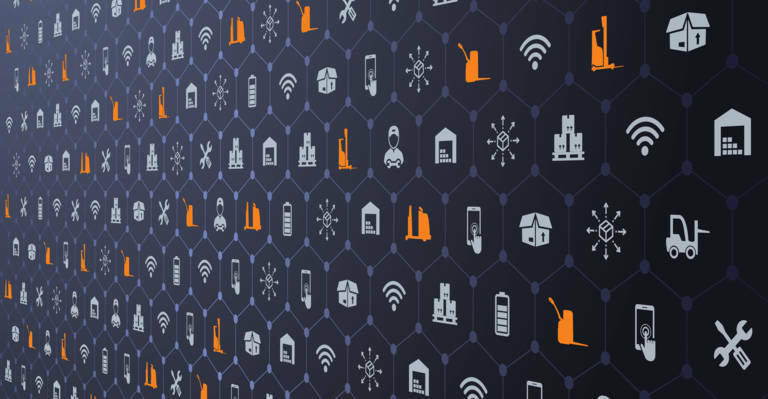 Discover the role of connectivity in the future of material handling.